Please feel free to call or email for information on birds. We have nearly 15 years experience of poultry keeping and are normally available at anytime for advice. My birds live in open free range fields and they live a natural stress free life. I supply chickens and ducks to people in Gloucestershire, Wiltshire and Somerset. We sell all things related to poultry, equipment, housing, disinfectants etc. Advice freely given to anyone starting with birds in the garden and ongoing support. Day Old chicks now available on a weekly basis, small or large numbers catered for. I have various colours all very pretty and healthy great with children of all ages. Please feel free to contact me for availability. I have kept poultry for 10+ years now. I started off with a couple and that has just multiplied over the years to what I have now!!! Excellent selection of hybrid pullets available throughout the year. Day old pullet chicks in 9 colours. Day old khaki campbell females and day old aylesbury ducklings hatching weekly - ring for availability. I also have a large selection of pekin bantams in various colours. Pekin pullets for sale from 8weeks of age - ring for availability. We usually have POL bantams and hatching eggs available. Please phone to check current availability. If we don't have what you want, ask! POL Hybrids available all year. Other large birds and bantams are available. Please contact us for availability and times. We are a family run business in the Forest of Dean, where we have a range of birds from h/e, d.o, growers and up to POL. Please feel free to contact us to arrange a visit where we will be happy to accommodate to your needs. Small numbers as a hobby. Bred for quality not quantity. Interesting crossbreeds sometimes available too. We keep a large array of poultry including Chickens, Geese, Guinea fowl, Turkeys and even Rheas. This is a hobby which has grown and I now use to help support me at university. We are situated in Viaduct Nursery situated just off of the Bristol ring road and only a 5 minute drive from Junction One of the M32. We have various breeds of pol hybrid birds as well as day old chicks, ducklings and ducks. On site there is also a friendly family run cafe, a florist, gift shop and plants for sale. We sell Fertile Hatching eggs on our website, these are fresh eggs, no more than 4 days old when posted. They can be collected from our smallholding by arrangement. Phone card payments accepted. Care sheets supplied for incubation of incubator or broody hen. We also sell day old chicks hatched from any spare eggs that we have and any birds which we grow on to Point of Lay. I breed and supply various types and colours of quail. Japanese, Italian, Texan and mixtures of these colours. I also breed Bobwhite quail in various colours. Please phone or email for more details and prices. Quality birds bred in manageable quantities. I have been breeding ducks and chickens for a number of years now. It started as a hobby when I fell in love with silkies and call ducks. I now have most colours of silkies but also keep pekin cross frizzles and other hybrid bantams, and, of course, the call ducks (and quail!). I can supply hatching eggs all year round and hatch chicks every month so always have young stock for sale from day old up to point of lay and beyond. Please contact me for more information. I started off with a few hybrids for eggs in my back garden. 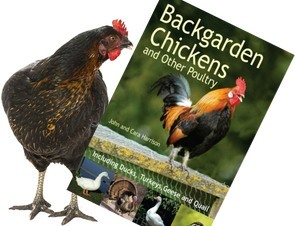 From there my love for chickens grew, I then started to look at all breeds around the world. And had a great passion and interest in breeds that were unusual and rare. I have always enjoyed keeping rare and different variety of breeds and my collection has grown, over the years. I have tried to keep my stock at a manageable level , so I can provide my time on these rare quality breeds. Please phone to enquire about availability of birds/ birds for sale, or for free advice or help at any time. Hens just coming into lay available. Fully vaccinated. Ring today for competitive prices. Price discounts on more than 10! 100% customer satisfaction levels. If you are local in GLOUCESTER i can arrange delivery. At Wheatcroft poultry we have been supplying hybrid pullets for over 40 years. We just specialise in the brown hybrids such as Hyline, Warrens & Bovans along with related equipment - Birds in stock all year round. Please call before collecting to ensure I am on site.